Nick Alanâ€™s life of success in San Francisco has just collapsed. His fiancÃ© has left him, his law firm has fired him, and he has no idea what to do next. When he receives an offer from an old friend to work for a gold mining company on the other side of the world, he jumps at the chance. 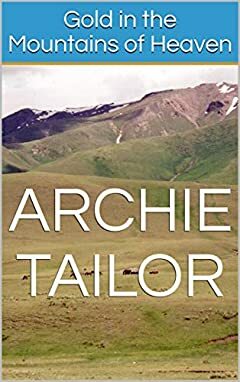 Little does he know that this decision could be the death of him in this debut international adventure thriller by Archie Tailor. Nick Alan finds himself out of his depth when he moves to the Tian Shan Mountains of Kyrgyzstan to start a new job at a gold mining company. Suddenly, heâ€™s surrounded by stunning women, cranky expats, vicious bandits and corrupt officials. Whatâ€™s worse is that they all seem to want a piece of him. Nick will have to adapt quickly if heâ€™s going to make it in this new world. Can Nick pull it all together in time to build a life for himself and find love in the Mountains of Heaven?